It’s one of the most important days of your life, and you need to have faith in your wedding caterer to deliver an amazing experience for you and your guests. Have a look over what some of our customers have to say….. 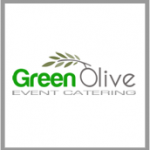 It was a pleasure to have Green Olive cater for our event. The team were very organised, professional and provided a great standard of service. We look forward to working with you again! Everything was perfect – great job! Since 2013, Green Olive have been providing their catering services to Croí. Croí has state-of-the-art meeting facilities in Croí House and Green Olive has catered for many small to large meetings, conferences, events, educational courses and also our own Annual National Prevention Conference with up to 150 people. Our catering requirements have included soup & sandwiches, hot plates with dessert, canapés, buffet style and even silver service. Green Olive’s standards and attention to detail are excellent and constant. Val, Jacinta and the team are always professional and also very accommodating when we have any special dietary requests. The food is always very well presented and more importantly, always delicious! I would highly recommend Green Olive for your catering needs. The recommendation to try Green Olive for our corporate entertaining was one of our lucky days! Jacinta and Val have been fantastic to work with and are a wonderful complement to the gorgeous food that they provide. 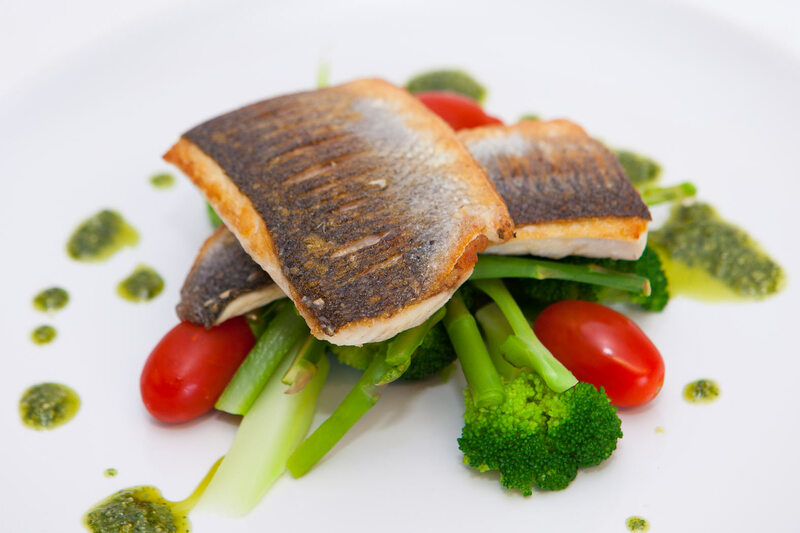 Over the last number of years, Neuravi have had international teams of Physicians, Corporate leaders and Sales teams visiting the office that we have needed to provide impressive in house catering for; all have been extremely impressed with the catering we have provided – all courtesy of Green Olive. To have an Italian physician praise our wonderful Irish Beef and a French CEO praise our native Irish cheeses is something that Green Olive should be immensely proud of. The deserts; both beautiful to behold and to sample are a hit with all nationalities! We have had many queries from our guests as to whether Green Olive have a restaurant in Galway that they could visit; which is a wonderful endorsement as to their enjoyment of the food. Green Olive are professional both in business and in the stunning presentation of their food. Jacinta is hugely accommodating and sympathetic to the last-minute nature of many of our requests. 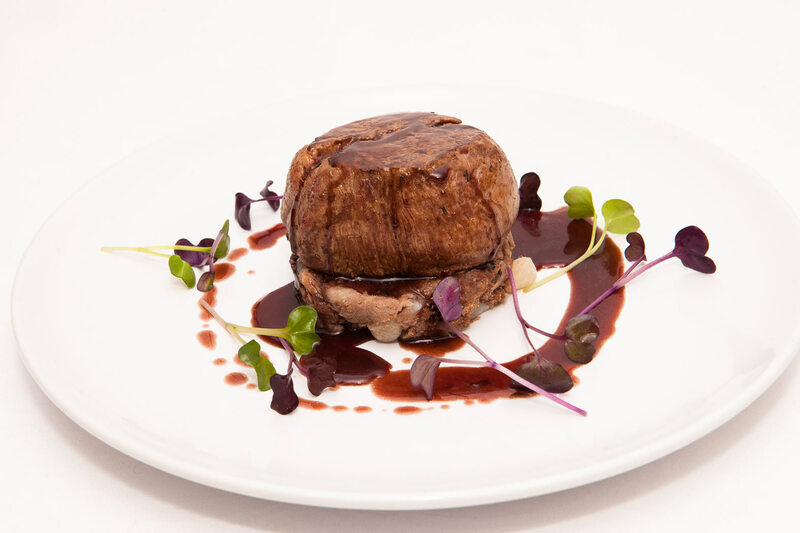 The ability to meet dietary requirements – such as gluten free or vegan – with no drop-in taste or presentation is a further testament to the comprehensive and high standards they maintain. The service is punctual and speedy with minimal disruption while setting up; which is a bonus in a busy office environment. I would be happy to recommend Green Olive and look forward to many more delicious meals! Green Olive catered our wedding and all I can say is “WOW”. The food was perfect and the service was excellent. From day one of planning our wedding I knew I wanted the food our guests were served to be great and Green Olive certainly delivered. Working with Jacinta and Val was a pleasure and I would recommend them to anyone, our guests are still talking about the food. Dom and myself would like to thank you, Val and the rest of the team for your amazing food and service over the course of our Wedding weekend. We heard nothing but praise for the food throughout. I just wanted to say how perfectly everything went , the food was terrific and much commented on and all your staff very courteous and efficient . It would be surprising if you don’t get a lot of enquiries following this weekend! We hope continue to have a successful year and no doubt we’ll see you back at Lough Cutra in the near future. Thank you for everything during thecourse of the wedding. I wanted to say one more time how wondeful the food was and how smoothly everything was put together. You guys run a very impressive team and no doubt you will be booked up for years to come! We had the most wonderful weekend and you guys were part of that. Food is important to us and our guests and everybody was in awe of how wonderful everything tasted! Wishing you both all the success..
We would like to thank Green Olive for catering our wedding at Lough Cutra Castle April 2017. Green Olive were a pleasure to work with and made the whole process as straightforward as possible especially as we were organising the wedding from abroad. The staff of Green Olive were very friendly and professional and everything was timed perfectly. The food was out of this world and our guests continously commented on how good it was. We could not have asked for anything better from Green Olive and we thank you for adding to our special day. More than that though your staff were the ultimate professionals, they went about their business and were so friendly and accommodating. The night staff were also excellent. We could not have been happier with how things ran. We really appreciate the effort you all went to in order to ensure the room stayed tidy for the night. Jacinta, you really are a joy to deal with, nothing in the lead up to the wedding was too much hassle and you really made me confident that they day would be all we wanted, and it was so much more. Val, I think you know by how little food was left just how much people enjoyed it! Can we do it all again??? Oh my days you were just class! I wish you both all the very best for the future and promise if I have any event you will be there front and centre. Sending you both the biggest hug. Please, when your silly season ends I would love to have you both over for dinner or drinks or take you too a place of your choice. Val and Jacinta are flawless – they produce and deliver exceptional quality amazing food so effortlessly. If anyone is looking for incredible food with zero hassle you should look no further – you have just came across the most talented couple I’ve met in a long time. Without hesitation I would recommend you guys every day. A million thank you’s to you and your team! We are forever great-full for the masterpiece you created and the perfect service. A quick note to say a wholehearted THANK YOU to you, your husband, and your super team for the wonderful food and service at our wedding! We had such a wonderful time and were so relaxed thanks to your fantastic set up and suggestions. The starter platters looked fab, and all of our guests commented on how delicious the food was, some of the meat-eaters didn’t even realise it was veggie, they just said it was amazing! Serving dessert outside went down very well too, great idea, thank you! My mum commented that it felt like you guys were family because you were so friendly and relaxed during service, listening into the speeches and chatting to guests. It was just perfect, so thank you so much!! We have had loads of compliments on how good the food was at the wedding and I just wanted to let you know. Both myself and Gavin really enjoyed it too, it was better than our trial even! Just yummy! We were sorry that we missed Val. Thank you for all of your help with everything. I won’t be able to recommend you guys highly enough to anyone who needs catering – you’re awesome! Green Olive did the catering for our daughter’s wedding in Connemara last July and we were delighted with the result. The food was truly delicious and perfectly cooked. Val and Jacinta are lovely to deal with and we would have no hesitation in recommending them highly. Aoife and Adrian, Killyon Manor, August 2016. 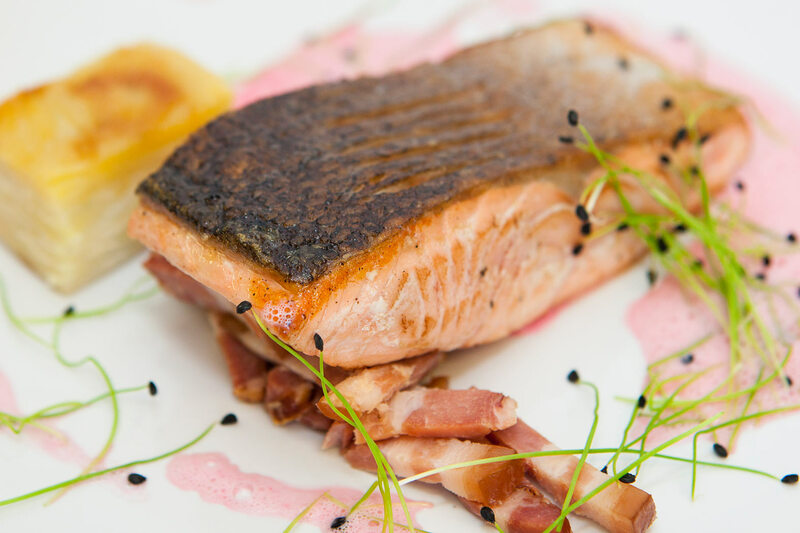 “We were delighted that we chose Green Olive as our wedding caterers. Months after our wedding, we are still getting compliments on how good the food was. Our guests loved the selection of dishes and also how inviting it looked to come into the dining room with the wooden serving platters waiting for them. Their attention to detail from the suppliers to timing and presentation was really impressive. We found Jacinta and the team really easy to work with. They really listened and understood how we wanted our day to run and worked with us to make this a reality. Thank you so much for all your hard work for our wedding. Everybody loved the food and your staff worked so well throughout the madness of the celebrations! Thank you soo much for making our wedding AMAZING!! Everyone loved the food and you were all so professional, job well done! Jacinta, Thank’s a mil for yesterday, you guys really helped make a day that everyone has been raving about over text and emails. Please thank Val also on behalf of us both, so many people told me they loved the food and set-up! Just a note to say thank you for catering our special day. The food and service was great and our guests loved it! We used Green Olive Catering for our Marquee wedding on the 25th June 2016 and for a BBQ the following day. were going to be in good hands. The food and service was very important to us and Jacinta, Val and their team did not disappoint, the quality of the food and service was an exceptional standard. The food looked and tasted amazing. They made the planning of the wedding and the day itself stress free, they went above and beyond our exceptions. Just dropping you an email to say a massive thank you for Saturday! The food and service could not have been better. We were absolutely delighted with it. One guest described it as their death row meal! Jacinta and the Green Olive Catering team were incredible from start to finish! The food was incredible, modern, fresh and delicious- and we had nothing but fabulous feedback from all of our guests, all agreeing the best food they’d ever had at a wedding! Jacinta is the ultimate professional, from the tasting, to the set up, the delivery, the staff, everything is managed professionally, and looked after seamlessly. Thank you so much for making our wedding day such a success! Green Olive Catering provided our daughter’s wedding dinner. We brought 13 people from the US to Galway for her dream wedding and the dinner didn’t disappoint. From appetizer to dessert, each course was delicious and gorgeously served. They also generously provided servings for the family who owned the property we rented. In addition to the quality of the meal, and more importantly, everyone from Jacinta’s team was kind, professional and genuinely happy for our daughter. We recommend Green Olive to anyone. Myself and Eoin would just like to say thanks to you, Val, and your staff for providing us with such an amazing service and beautiful food. From the very start your service was professional yet personal and we can genuinely say that we felt that you had our best interests at heart throughout the entire process. Organising a BBQ buffet for over 200 hungry people is no easy task and you delivered 100%, leaving our guests amazed at the speed of service while still providing food of such a high quality. On the day of the wedding you went above and beyond your remit to ensure our day was stress free and fun while serving food that everybody at the wedding couldn’t get enough of!! Thanks to Jacinta at Green Olive Catering who are one of Galway’s finest food companies. You can get Jacinta and her wonderful crew to come to you and they will prepare whatever you want hassle free! Sharing platters of hummus, olive breads and cheeses plus lamb and fish was the order of the day and I (being a real foodie) was so super excited. They’d even gone and arranged for Jacinta and gang to do canapés and quirky cocktails so this was a banquet like no other! We used Green Olive Catering for our wedding on the 2nd of August 2014 which was held in a marquee beside our home. The food was one of the highlights of the whole wedding and we couldn’t believe the amount of people who came up to us to tell us it was the nicest food they had ever eaten at a wedding. The food was of the highest quality you could possibly imagine and the service on the day was timed and delivered expertly. It was a pleasure to deal with Green Olive from the first time we met them and they made everything as stress free and straightforward as possible. They are an excellent and extremely professional company to deal with and we could not recommend them highly enough. Green Olive made our day so special. The meal is such an important part of the day and we are really into our food. I have to say Val and Jacinta did not disappoint. They food was outstanding. The fillet of beef was like nothing I have ever had, it was mouth watering. Val explained how he makes his Jus for the beef, I have never seen a guy who is so passionate about his job. He has a genuine love for feeding people! We had a couple of guests with unusual dietery requirements (one who couldn’t eat any fat whatsoever and one coeliac) and these guests were delighted with the care and attention given to the preparation of their meals. The impeccably timed service was just as good as the food itself. The servers were professional, friendly and really knew what they were doing. 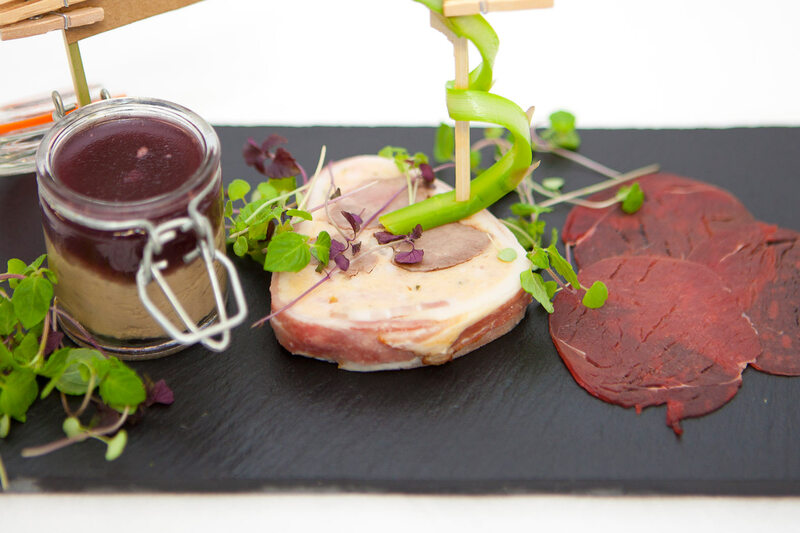 I wouldn’t hesitate to recommend Green olive for wedding catering, they would be hard to beat! Green Olive Event Catering made our dream wedding week come true. Not only was their food delicious, it was beautifully presented. And the desserts were absolute heaven. Jacinta, Val and their entire staff made us feel and dine like royalty. Jacinta & Val of “GREEN OLIVE CATERING” thank you so much for providing your excellent catering services for our wedding @ The Marquee @ Ashford. We were absolutely so pleased with Green Olive & there wonderful ideas & suggestions. The entire planning process was extremely smooth from setting up rentals, table arrangements & of course the scrumptious menu, the food was outstanding. We have received so many compliments from family & friends who attended our Big Day. Our guests are still raving about the delicious food. Your team was professional, accommodating & so friendly from beginning to end. It was absolutely perfect for us. Thank you again for sending your A Team. We could not believe that the high standard of dishes and their presentation could be replicated for 270 people, which was our number of guests, we were so very pleased with everything,The menu we chose was mixed canapes and then the fabulous sharing platter for the starter,( so many of our guests loved this and commented on it on the day). Main course was roast local connemara lamb or fresh fish followed by a trio of incredible desserts. The food was wonderful, the service impeccable and the presentation out of this world. I would recommend Green Olive for any event, large or small, they are so friendly and listen to what you wish to achieve and work with you to make sure it is just how you want it to be on the day. I will definitely use them again for future events. Hi Val & Jacinta, now that everything has settled down following our wedding on New Year’s Eve 2013, I can finally put my thoughts on paper re our experience with Green Olive. The first thing that struck me when we met was the sheer passion and commitment that shone out from yourself and Val for your business, so much so that I knew even without tasting the food that we had made the right decision in choosing Green Olive Catering for our wedding. The follow up tasting didn’t disappoint with the biggest problem being what to choose from the vast selection of amazing dishes. We eventually agreed on a menu for the big day and what a resounding success this turned out to be. The appetisers at the drinks reception got the taste buds going and you just knew from then on in that you were about to experience a rare and special treat. Never before have I tasted anything like the food you served over the many courses at our wedding. The food was exquisite and in my view was Michelin Star quality and not what people generally experience at weddings as a rule. My guests were bowled over and I could hear them during the meal comparing the various courses with each guest insisting they had selected the best option from the menu. The flavours, the taste, the presentation of each and every dish was simply staggering and I have no doubt in my mind that the success of the day was in no small way due to the very talented chef Val at Green Olive. Not forgetting the extremely efficient service that Jacinta and the staff delivered throughout the day. I was in awe watching Jacinta work the floor monitoring every movement, ensuring every wine glass was filled and that all my guests had everything they needed to enjoy a first class reception dinner. The brilliant food continued into the night with evening food that was second to none. But of course we didn’t stop there ! We had asked Val for suggestions for New Year’s Day as we had booked ‘Cloghan Castle’ for both New Year’s Eve and New Year’s Day. Val suggested a ‘Medieval Banquet’ given that the castle dates back to 1239. He really got into the spirit of the occasion and having researched in detail the type of foods suitable for that period, he delivered the most amazing menu you could imagine. From succulent Pig, Turkey drumsticks, Ribs and Gammon to die for to the Medieval Rice, Vegetables and Breads…Unbelievable !! Just talking about it makes my mouth water !! All I can say is a massive Thank You because you really made our special days exceptional . You are very special people and a pleasure to deal with and I hope that you continue to achieve huge success in your business because no one deserves it more. I almost wish we could get married again just to experience the culinary expertise you delivered on the most important day of our lives. Before the day we had a sample tasting at Jacinta and Val’s house and they made us feel very welcome. We were given tastings of all our menu choices and they discussed with us how to balance the menu to make it all work on the day, even down to the mini fish and chips in cones for the midnight food. During the wedding the service was exemplary, the canapé’s were circulated discretely outside in the sun in the courtyard and during the main meal Jacinta and her team were under a lot of pressure with a very tight seating area to serve but it all ran smoothly. The food was talked about all night and the excitement when the midnight food came out was brilliant. Thank you both for helping make our special day so memorable. Hi Jacinta and Val, hope you both are keeping well. I have been meaning to drop you a line before now. I just want to thank you both and the Green Olive team for the fantastic food you had at our wedding BBQ. It was just amazing how you brought it all together, it was so professional. Everyone really enjoyed the food and the service. I knew I didn’t have a thing to worry about when I was booking ye. You have a extremely professional service. I know if anybody asked me would I recommend Green Olive for their party, I would have no hesitation at all.Best of luck to you both with your business! I am a vegetarian and I was recommended to Green Olive Catering by a friend in Church. I wanted a vegetarian meal for my Wedding Blessing lunch, but my main concern was what if my non vegetarian friends did not like the food? Surprisingly my friends were going for a second plate of that delicious food, and the desert was gone in a second!! Thanks Jacinta for your gifted hands, the food was great. I recommend Green Olive Catering for a great Vegetarian food! Green Olive catered a recent wedding at Ross Castle and I have only superlatives to use in describing the meal. The chef Val is incredible. I realize he had a team of other chefs working for him but his mark on the dinner was evident from the first course to the desert. It was an outstanding achievement and bride and groom and indeed all of the guests marvelled at the different dishes and were in total agreement that it was the best meal ever. We feel privileged to have a chef of Val’s talents join us for the events we provide. The day was fantastic, the staff you arranged were just superb, the food was absolutely incredible (you know you’re doing it right when certain guests are tweeting pictures of the food to their blog) the food is still talked about in fact the whole day gets a massive thumbs up and I appreciate the menu was not an easy one but Val and the team rose to the occasion brilliantly. You and the team made my job super easy. As I am a caterer myself it was going to be difficult for me to hand over the job to anyone else, I have pretty high standards, and I was beginning to wonder if I would have to give up my position as bridesmaid and just look after the whole thing myself. I’m glad I came across you when I did, the calm efficiency and friendly ease that whole thing was handled with was great and reassuring.